YouTube has announced new updates to its captioning service, which makes videos more accessible to the hearing impaired by displaying subtitles for dialogue. Automatic captioning, which was launched in English in March 2010 and expanded to Japanese in July 2011, has been expanded to support Korean. Meanwhile, searching for videos that have captioning support is now easier thanks to a new search filter – you can add “, cc” to any search, or after searching, click Filter > CC. 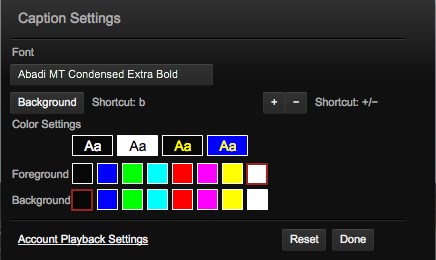 New captioning customisation features have been introduced, allowing you to change the font size and colour of the text. Meanwhile, if you’re importing videos in MPEG-2 format that already have captions embedded, perhaps from a DVD or VHS tape, YouTube will now pick them up and convert them to appear online. It’s a neat feature, although we wonder how many of the original copyright holders will be doing this. There are more new features, including support for a number of captioning formats used by broadcast television. You can read all the details about YouTube’s latest captioning updates over on its blog.